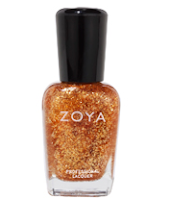 The FREE Zoya Professional Lacquer in Maria Luisa will go live today at 12 pm EST (in half an hour) for the first 500 people to enter! Note: Submit the form right at 12 pm EST. Plus you won't know if you will receive one until it arrives in the mail.